Swaim (knee) produced 26 receptions, 242 receiving yards and one touchdown over nine games in 2018. Swaim (wrist) will have his cast removed Thursday, Brandon George of The Dallas Morning News reports. Analysis: While he seems to be making good progress, Swaim isn't eligible to return this season even if the Cowboys make a deep playoff run. Blake Jarwin's Week 17 breakout locks him in as the team's top pass-catching threat at tight end. Swaim (wrist) was placed on injured reserve Saturday, Rob Phillips of the Cowboys' official site reports. Analysis: Swaim was slated to miss his fifth straight game Sunday so the Cowboys made the proactive choice by ruling the tight end out for the rest of the season. Blake Jarwin has turned into a viable weapon in Swaim's absence, recording 11 receptions and 101 receiving yards in the last two weeks, and figures to continue to reprise the role as the Cowboys inch towards a playoff berth. Swaim (wrist) has been ruled out for Sunday's game against the Buccaneers, Jon Machota of The Dallas Morning News reports. 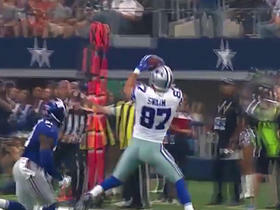 Swaim (wrist) did not practice Thursday, Brandon George of The Dallas Morning News reports. Analysis: Swaim has missed the last four games after undergoing surgery for a fractured wrist in mid-November, and has yet to return to practice. The 25-year-old is trending towards remaining sidelined for Sunday's tilt against the Buccaneers, in which case Blake Jarwin would once again serve as the Cowboys' top tight end. Swaim (wrist) was a non-participant at Wednesday's practice, Calvin Watkins of The Athletic reports. Analysis: Swaim underwent surgery for a fractured wrist in mid-November and has missed the last four games. The 25-year-old was originally projected to have a 3-to-4-week absence, so he's already reached the end of that initial timetable without any meaningful sign of progress. The 2015 seventh-round pick will likely need to practice in some capacity Thursday and Friday in order to have a real chance of playing Sunday against the Buccaneers. Swaim (wrist) has been ruled out for Sunday's game at Indianapolis, Jon Machota of The Dallas Morning News reports. Analysis: Swaim required surgery on a broken wrist suffered Nov. 18. It was accompanied by a prognosis of 3-to-4 weeks, but now that he's fast approaching the back end of that timetable with no return to practice in sight, there's no telling when the fourth-year tight end will be available to the offense again. His next chance to practice will be Wednesday, Dec. 19 in preparation for a Week 16 matchup with the Buccaneers. Swaim (wrist) isn't participating in Thursday's practice, Brandon George of The Dallas Morning News reports. Owner Jerry Jones estimated Tuesday that Swaim would be sidelined for 3-to-4 weeks while the tight end recovers from wrist surgery, David Helman of the Cowboys' official site reports. Swaim broke a bone in his wrist during Sunday's win over the Falcons and will need surgery, Calvin Watkins of The Athletic reports. Analysis: Though Swaim will undergo surgery on his wrist, his injury isn't expected to sideline him for the remainder of the season, according to David Helman of the Cowboys' official site. It remains to be seen just how long the fourth-year tight end will miss, but he is expected to miss Thursday's Thanksgiving matchup with the Redskins, leaving Dalton Schultz, Blake Jarwin and Rico Gathers to pick up the slack. Swaim caught four of five targets for 24 yards in Sunday's 22-19 win over the Falcons. Analysis: He seems fully recovered from the knee injury that cost him Week 9's game, but even as Dak Prescott's top tight end target, Swaim carries minimal fantasy value -- he's topped 50 yards only once all season, and just three of his 32 targets have come in the red zone. Swaim (knee) was a full participant in Wednesday's practice, Jon Machota of The Dallas Morning News reports. Analysis: Swaim returned from a one-game absence to play 56 offensive snaps in the Cowboys' upset win over the Eagles on Sunday, finishing with three receptions for 13 yards. His full involvement in the Cowboys' first practice of Week 10 suggests he escaped the victory with his health intact. Swaim (knee) is active for Sunday's contest at Philadelphia, David Helman of the Cowboys' official site reports. Analysis: The Cowboys have deemed Swaim ready to return exactly three weeks after he sprained the MCL in his knee. Because he was limited in every practice this week, he likely isn't ready to handle his usual workload, meaning Blake Jarwin, Dalton Schultz and Rico Gathers should remain a part of a TE rotation. Swaim (knee) remained limited at practice Friday and is listed as questionable for Sunday's game against the Eagles, Jon Machota of The Dallas Morning News reports. Analysis: Swaim will be three weeks removed from suffering an MCL sprain by Sunday night, but there's no guarantee in terms of target volume even if he ends up playing. The inactive list before Sunday's 8:20 PM ET kickoff is unlikely to provide an answer, as the Cowboys have already ruled out six players and may use the seventh spot on No. 3 quarterback Mike White. Another absence for Swaim would leave Blake Jarwin, Dalton Schultz and Rico Gathers in a committee for a second straight week. Swaim (knee) was a limited participant in Thursday's practice, David Helman of the Cowboys' official site reports. Swaim (knee) didn't practice Wednesday, Jon Machota of The Dallas Morning News reports. Analysis: Swaim didn't practice at all last week and was listed as doubtful ahead of Monday's 28-14 loss to the Titans before ultimately missing that contest. Blake Jarwin, Dalton Schultz and Rico Gathers split playing time at tight end, with the position group accounting for just two targets on 31 pass attempts from Dak Prescott. Swaim likely needs to practice Thursday or Friday to have a shot at making it back for the Week 10 game against the Eagles. Swaim (knee) is inactive for Monday's game against the Titans, David Helman of the Cowboys' official site reports. Analysis: Swaim was listed as doubtful coming into Monday, so it is not surprising to see he will not suit up. Blake Jarwin and Rico Gathers figure to see a more prominent role in the Cowboys offense with Swaim out. Dalton Schultz, a 2018 fourth-round pick, should fill a more relevant depth role at tight end. Swaim (knee) is listed as doubtful for Monday's game against the Titans, Jon Machota of The Dallas Morning News reports. Analysis: Swaim was a non-participant at practice this week, so even the doubtful tag feels a bit optimistic. Any of Blake Jarwin, Dalton Schultz or Rico Gathers -- none of whom have seen more than 27 snaps in a game on offense so far this season -- could benefit from his likely absence. Swaim (knee) didn't participate in Friday's practice, Turron Davenport of ESPN.com reports. Analysis: Swaim has been absent from both of the Cowboys' practices so far this week, so he'll likely need to do something at Saturday's session to have a realistic shot at playing Monday against the Titans. If Swaim sits out the Week 9 matchup, Blake Jarwin and Dalton Schultz would be the top candidates to pick up snaps at tight end in his stead. Swaim (knee) won't participate in Thursday's practice, David Helman of the Cowboys' official site reports. Analysis: After suffering an MCL sprain in the Cowboys' Oct. 21 loss to the Redskins, Swaim benefited from Dallas' Week 8 bye to heal up from the injury. It appears the week of rest wasn't enough to fully remedy the issue, putting Swaim's status in question for Monday's game against the Titans. He'll have two more days of practice to prove his health, but if Swaim is ultimately sidelined for the first time this season, Blake Jarwin and Dalton Schultz would be in store for more work at tight end. Swaim (knee) is dealing with a sprained MCL, Brandon George of The Dallas Morning News reports. Swaim will not return to Sunday's game against the Redskins due to a knee injury, Calvin Watkins of The Athletic reports. Analysis: Swaim exited the Week 7 contest with a knee injury during the fourth quarter. Expect an update on the No. 1 tight end's health after the conclusion of Sunday's game. Swaim caught both his targets for 21 yards during Sunday's 40-7 win over the Jaguars. Swaim caught all three of his targets for 55 yards during Sunday's 19-16 loss to Houston. 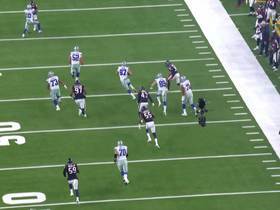 Analysis: The bulk of Swaim's production came in the opening minutes of Sunday's game when the fourth-year tight end took a dump pass 43 yards to set up the Cowboys' opening field goal. Swaim ranks second on the team with 11 catches over the past three games, but that doesn't carry a ton of weight in an offense that ranks 29th in the league in passing yards. Don't expect things to get better Sunday against the Jaguars' top-five pass defense. Swaim caught three of five targets for 39 yards and a touchdown in Sunday's win over the Lions. 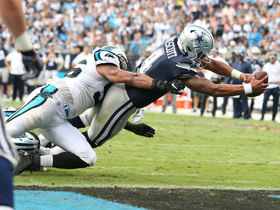 Analysis: He was tied with three other Cowboys for the team lead in targets, and his first red-zone target of the season resulted in his first career NFL touchdown. Swaim seems to be earning some trust from Dak Prescott as a receiver, but even with Sunday's improved overall showing from the Dallas passing game, the tight end's fantasy value is still low heading into a Week 5 trip down I-45 to Houston. Swaim caught five of seven passes for 47 yards in Sunday's loss to the Seahawks. Analysis: It was the best game of the tight end's career so far, as his previous high in yards in a game was only 29, set back in 2016. Dak Prescott has shown little willingness to stretch the field this season, which could keep Swaim's targets fairly high as long as he remains in a starting role, but as yet the 25-year-old hasn't shown that he can do much with the volume. Swaim caught three of four targets for 18 yards during Sunday's 16-8 loss to the Panthers. Swaim was used as the Cowboys' starting tight end during offseason practices, Jon Machota of The Dallas Morning News reports. Swaim (knee) is now the most experienced tight end on the Cowboys' roster following the retirement of Jason Witten, Jon Machota on the Dallas Morning News reports. Analysis: That's not saying much -- he's played only 28 games over three seasons in Dallas -- but Swaim is also the only tight end on the depth chart to have caught a pass in a regular-season game, giving him an edge on the current competition as the Cowboys move on from Witten. The 24-year-old is still recuperating from minor knee surgery, but he should be 100 percent by training camp, if not sooner. Swaim (knee) will likely have competition for the starting tight end spot in Dallas, Drew Davison of The Star-Telegram reports. Analysis: The Cowboys added to their already clustered tight end group Saturday by selecting Stanford's Dalton Schultz in the fourth round of the NFL Draft. With Jason Witten no longer in the mix, Swaim will likely compete with the rookie for the starting tight end spot. Swaim hauled in just two catches for 25 yards last season. Swaim recently underwent minor surgery on his right knee, Mickey Spagnola of the Cowboys' official site reports. Analysis: This procedure is likely linked to the knee injury Swaim sustained in November. Entering the last year of his rookie contract, Swaim is expected to be healthy in time for offseason workouts this spring. Swaim suited up for 15 games in 2017, catching both his targets for 25 yards. 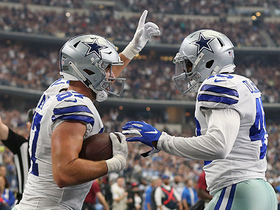 Analysis: The third-year tight end was able to stay healthy, but snaps were hard to come by behind Jason Witten and James Hanna, relegating Swaim mostly to a special-teams role. Swaim has yet to show he can be anything more than a depth option in the NFL, and with Rico Gathers (concussion) looking for playing time in 2018, Swaim's path to a regular role will become that much steeper. Swaim (knee) is listed as active for Sunday's game against the Eagles, David Helman of the Cowboys' official site reports. Analysis: Swaim didn't play last week against the Falcons after injuring his knee in practice. However, he returned to the fold this week and participated in every practice Wednesday through Friday. His availability for Sunday made rookie Blake Jarwin a healthy scratch. Swaim (knee) is listed as questionable for Sunday's game against the Eagles, Jon Machota of The Dallas Morning News reports. Analysis: Swaim was a limited participant in practice this week after sitting out last Sunday's loss to the Falcons. Blake Jarwin would fill in as the Cowboys' No. 3 tight end again if Swaim is unable to suit up. Swaim (knee) was ruled out for Sunday's game against the Falcons, Rob Phillips of the Cowboys' official site reports. Analysis: Swaim's status was up in the air after he injured his knee during practice Thursday, and he was downgraded to out Saturday. Blake Jarwin will step in as third tight end for the Cowboys in his absence. Swaim hurt his knee during Thursday's practice, and after sitting out Friday's session, his status isn't clear for Sunday, Brandon George of The Dallas Morning News reports. Analysis: Swaim underwent an MRI to see if there was structural damage, but no reports have come out about the results. 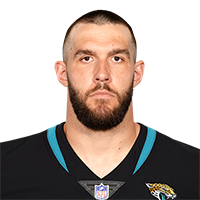 The third-year pro has just two receptions this season for 25 yards, but if he's unable to play, undrafted rookie Blake Jarwin will likely take over the remaining snaps. Dallas Cowboys tight end Geoff Swaim breaks free for 43 yards on a quick pass from quarterback Dak Prescott. 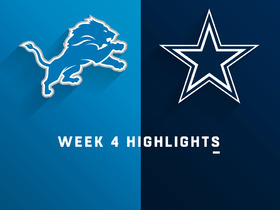 Watch as the Detroit Lions face the Dallas Cowboys in Week 3. 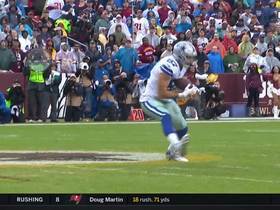 Dallas Cowboys rookie tight end Geoff Swaim snags a pass from quarterback Dak Prescott for his first career touchdown. Dallas Cowboys QB Dak Prescott passes deep to tight end Geoff Swaim for a first down. Dallas Cowboys QB Dak Prescott completes pass to tight end Geoff Swaim for 21 yards.